Further, it casts a fruitful reflection on some of Ingmire’s other work — the epic achievement of his multi-volume livre d’artiste projects with Manuel Neri, from poetry by García Lorca and Pablo Neruda, and with Oliver Jackson, from poetry by Quincy Troupe. These are gorgeous, exquisitely rendered volumes in the grand tradition, unabashed displays of virtuosic skill and material accomplishment. 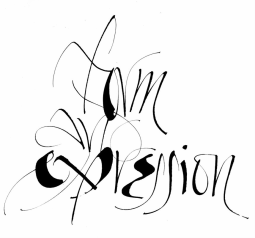 As we turn from them again, back to the adventures of the smaller poetry books, we can see without question how far Ingmire has carried calligraphy into the realm of contemporary art practice, its inquiries, its imperatives, its discontents.